These plants are tropical, so I kept it in a pot, but it apparently likes the semi-tropical climate of South Louisiana. 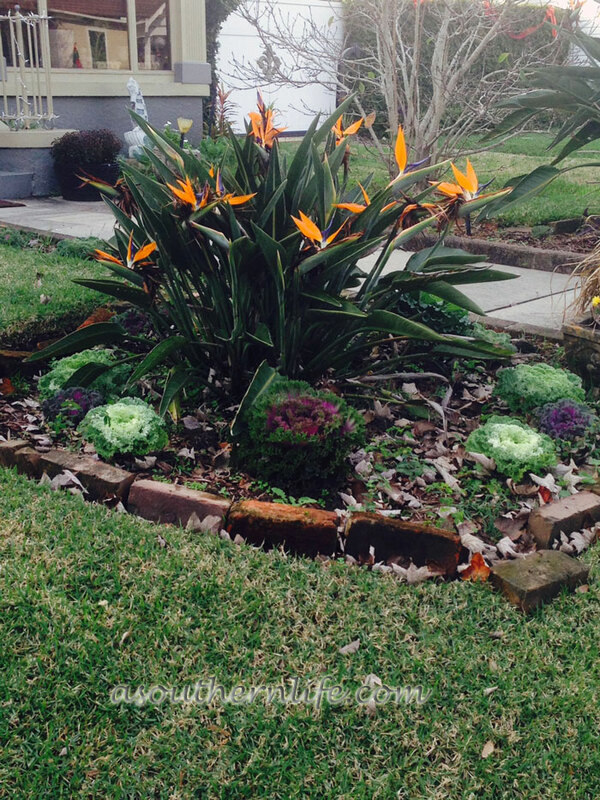 Once the plant blooms, it will continue to bloom, with most blooms in late winter to early spring, (according to what I have read). 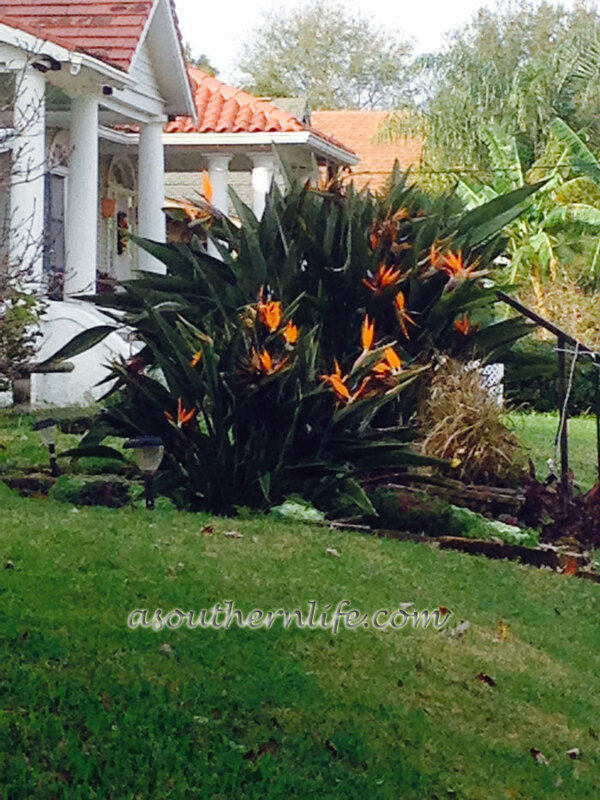 Many people, here in New Orleans, have the bird of paradise plant growing in their yards. Imagine my envy when I see blooms like this . . .
. . . when my plant had not even bloomed at all. Well, now it has, and I am so excited. It is such a beautiful bloom. 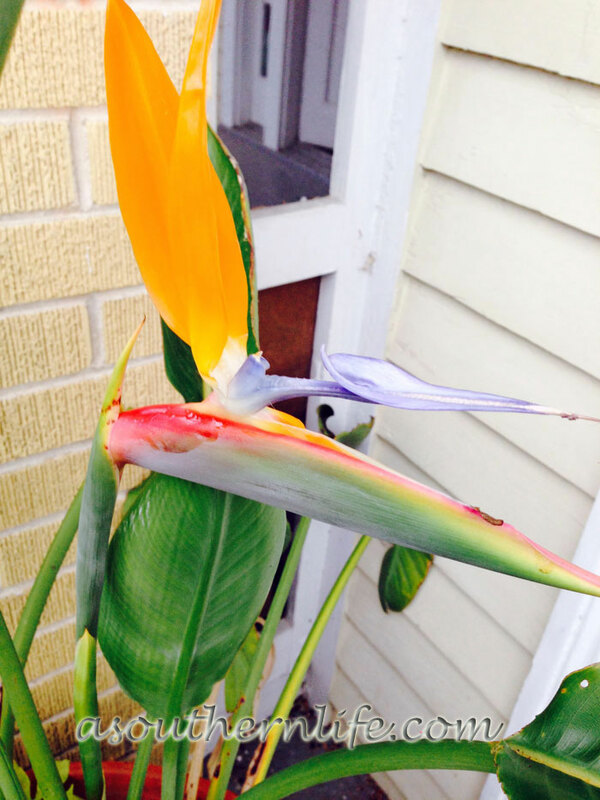 It does actually look like a beautiful, tropical bird. God is so creative in His creation! It was worth the wait. I can’t wait for more beautiful blooms. 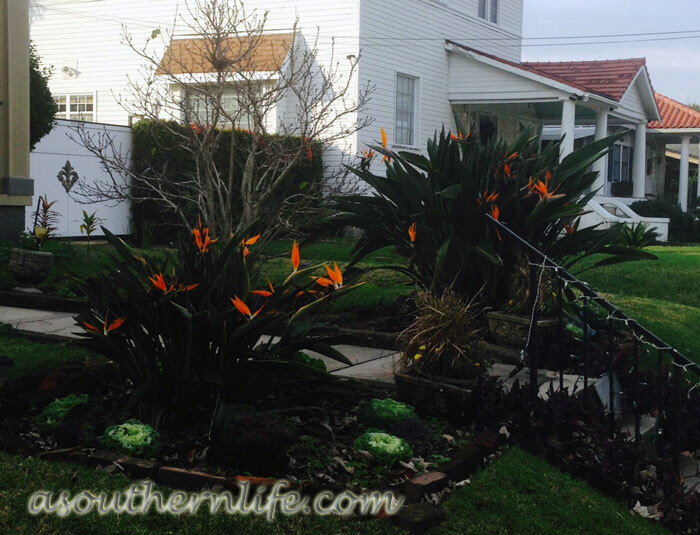 Do you have a plant that you have nurtured along for years? I had a lemon tree that I nurtured for a long time that never bore fruit and finally died. I guess it doesn’t work out for all of them, huh? 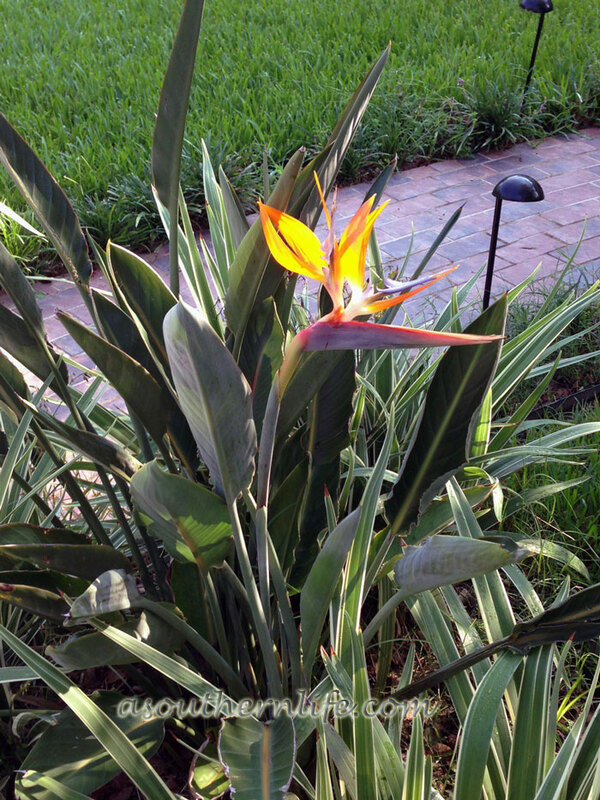 I think that is the most beautiful Bird of Paradise bloom I have ever seen! hat pretty tropical plant here as well. My daughter takes it out of her garden for arrangements. Thanks for sweet and kind visit.